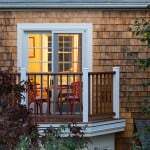 George is a gem. 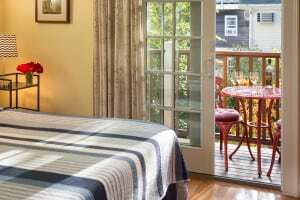 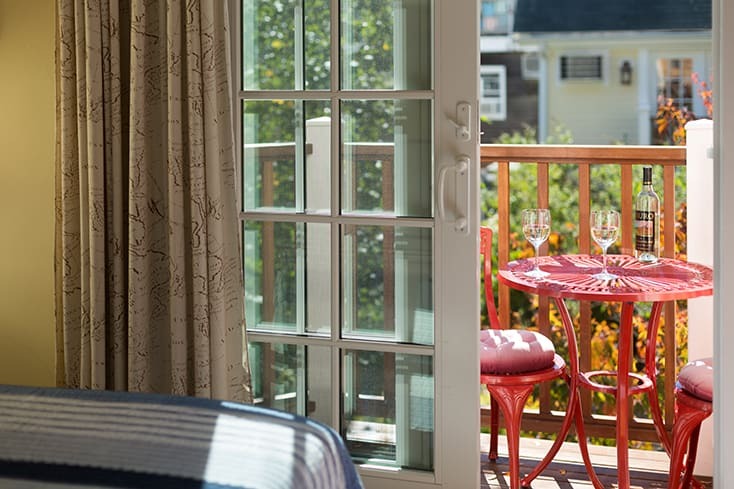 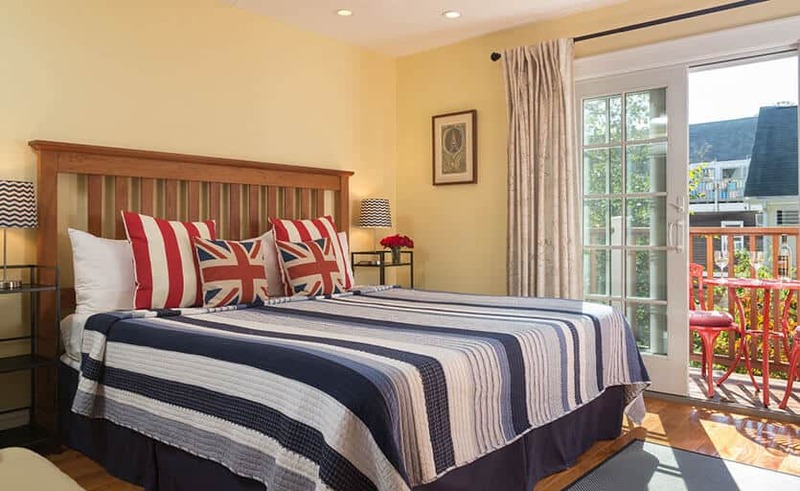 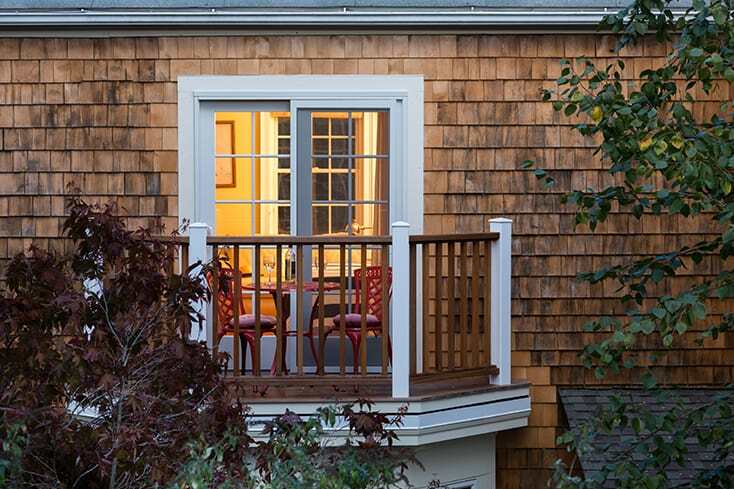 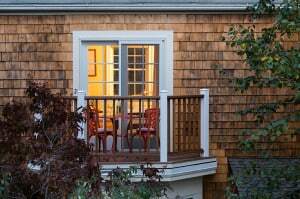 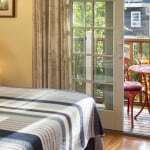 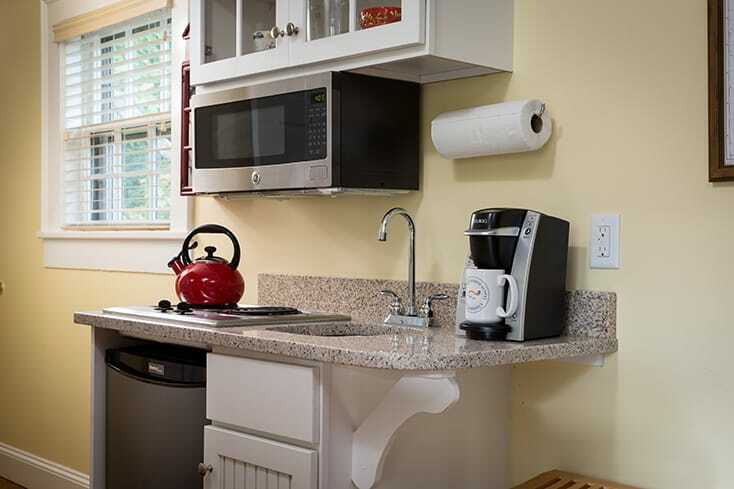 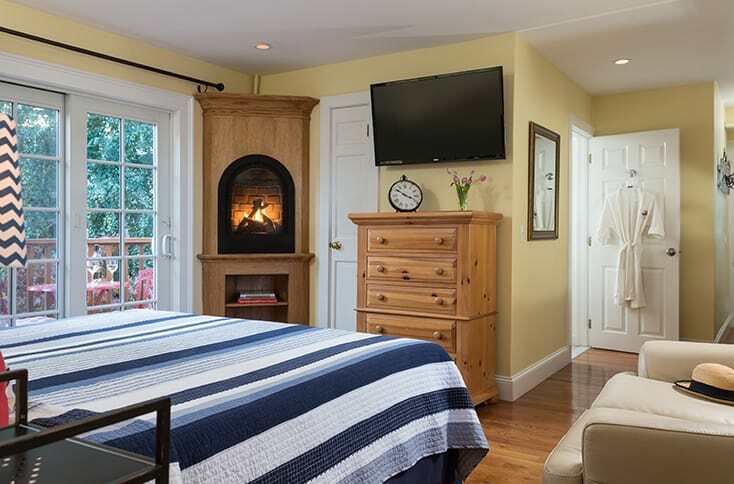 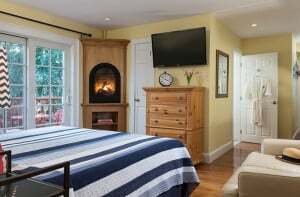 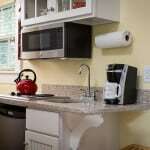 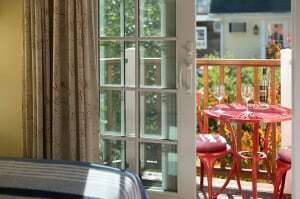 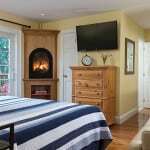 Privately located on the second floor of our Provincetown lodging, George has two entrances, gas fireplace, kitchenette, flat screen TV with DVD player, ceiling fan, self controlled heat, and AC. 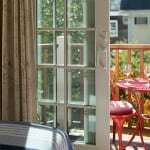 Bonus is a private balcony overlooking the courtyard! 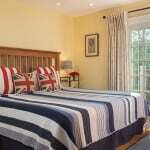 The bedroom has a king size Tempur-Pedic bed. 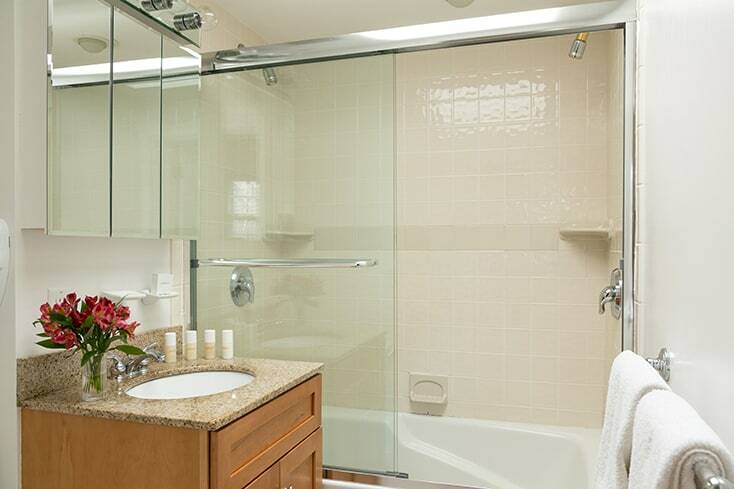 The full bath features a single person whirlpool jacuzzi tub and shower.